Download the first BIOVOICES newsletter in PDF and discover the latest news on bioeconomy and project activities! This report presents an overview of the existing barriers and opportunities to commercialise bio-based applications in Europe as described in current literature, to indicate key issues in the transition to the bio-based economy. 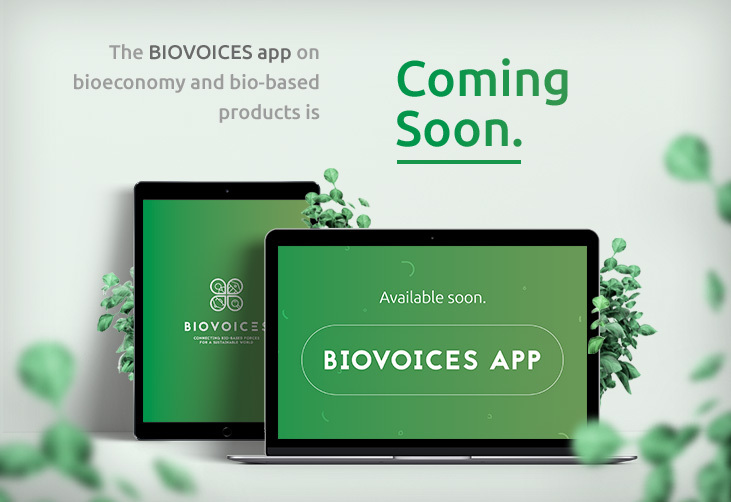 As the focus of BIOVOICES is on the market perspectives of application sectors, the aim is to select commercial applications which are relevant for different stakeholders to share their perspectives, knowledge and experiences for mutual learning. This report aims at identifying the quadruple helix stakeholders’ interests and motivations to participate in the BIOVOICES MMLs (Mobilisation and Mutual Learning) community. It analyses within a comparative framework data collected in 82 interviews conducted by the 13 partners of the project distributed among 10 countries (Estonia, Germany, Greece, Italy, the Netherlands, Portugal, Romania, Slovakia, Spain, and the United Kingdom). The aim of this deliverable is to create a stakeholders’ classification in order to set up the best way to identify the thematic group to be involved in mobilization and mutual learning activities. For carrying the objective out, we took into account different literature and opinions from different experts in this area. At the end, we created a table where we were able to divide different groups of stakeholders depending on thematic, localization and type of agent. The objective of this deliverable is to create a classification of stakeholders’ groups in order to identify, through a categorization by theme and stakeholder type, the thematic group relevant for mobilization and mutual learning. This classification is the basis for targeted community building, ensuring that all the necessary competences, interests, knowledge, experience and variety of perspectives in relation to each of the mutual learning contents will be maximally mobilised and nurtured (following the 3D BIOVoices Model). The BIOVOICES website will act as an institutional communication and dissemination channel of the project, comprising both institutional and promotional content about the project, including information about its scope, objectives, activities and key public results. Other information such as news and events will only be accessible through BIOVOICES Platform. The institutional website will serve as the “front-door” of the platform. This document aims to summarize the main assets of the BIOVOICES project that can be exploited either by consortium partners or external stakeholders/ target groups, beyond the lifespan of the project, safe-guarding post-project sustainability. This deliverable contains the ontology of concepts related to the bio-based products and bio-economy field, embedded in the BIOVOICES social platform. The BIOVOICES Focus Group constitutes a community of (external to the project’s consortium) multi-disciplinary experts in the knowledge fields of the bioeconomy and the BBP sectors, representing consumers/general public, business community, research community, policy and public administration. Members of the Focus Group participated in the BIOVOICES Focus Group workshop organised on November 13th and 14th, 2018 in Rome, Italy. The overall aim of D3.4 is to develop the guidelines for the design of the BIOVOICES Mobilisation and Mutual Learning (MML) approach that are relevant, attractive and motivating for the quadruple helix stakeholders to contribute and finally to deliver impactful outcomes (policy recommendations, action plans, agreements, further collaboration, etc. ).